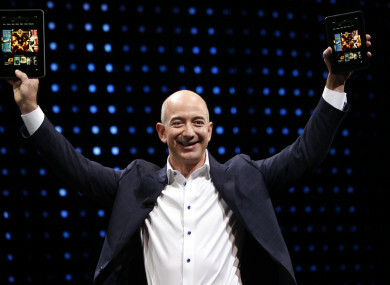 The Amazon founder and CEO was announced as the second-richest person on the planet in March of this year, according to the Bloomberg Billionaires Index. AMAZON’S JEFF BEZOS has become the world’s richest person today, overtaking Microsoft founder and billionaire Bill Gates, according to Forbes magazine. The magazine said its real-time tracking of personal fortunes showed Bezos with a net worth of $90.5 billion (€77.6 billion), ahead of the $90 billion (€77.1 billion) for Gates. Bezos owns around 17% of the equity of Amazon, which has been expanding from its original mission as an online retailer to a diversified tech firm in cloud computing, online video, computing hardware and artificial intelligence. Amazon shares were up 1.7% at $1,070.72 (€918) and have risen some 24% over the past four months, adding some $17 billion to the net worth of the 53-year-old Bezos. Email “Amazon founder Jeff Bezos is now the world's richest person”. Feedback on “Amazon founder Jeff Bezos is now the world's richest person”.